The education system in China is divided into Primary School (six years’ duration, beginning at age six), Junior Middle School (three years) and Senior Middle School (three years). Senior middle school graduates are equivalent to Western high school graduates. Senior middle school graduates who wish to become doctors are required to complete an application in which the schools and specialties they favor are prioritized. Applicants come primarily from senior middle school graduates who have majored in science while in senior middle school. In June of each year, a National College Entrance Examination (NCEE) is taken by nearly all applicants for university study. It covers five subjects including mathematics, physics, chemistry, the Chinese language (Mandarin) and literature (English). A standardized marking system with a maximum score of 150 per subject area or a total score of 750 is used to assess an applicant’s performance. Students are allowed to repeat the exam in the following year(s) if their score is lower than they desire. The selection process for admission to medical school is usually conducted in two steps. First, the Ministry of Education assigns a number of positions for each first class. The university then selects among the applicants who have listed the school as their top preference. This selection is largely based on NCEE scores. Second, if places still exist after the first step, the applicants who have chosen the school as their second or third preference are considered. The best or so-called ‘key’ universities have priority in the selection of students and admit candidates with higher scores than the scores of the non-key universities. After the key universities have completed their selections, the remaining colleges and universities make their selections. 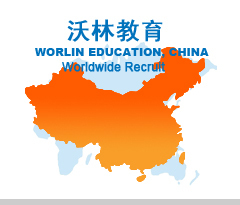 The leading medical schools are open to candidates from all over China, being the so-called ’nationwide student recruit institutions’. Others admit candidates only from their regions (province and neighboring provinces) as determined by the Ministry of Education. The applicants for the seven-year program must have a higher score than those applying for the five-year program and they have to meet certain additional criteria, e.g. Sichuan University requests that the English language scores must be higher for seven-year students than for five-year students. Applicants’ written evaluations from their high schools are also carefully reviewed as they serve as ‘letters of recommendation’. In some schools, faculty members conduct interviews with candidates during which they check, among other things, the applicant’s linguistic and intellectual abilities. Finally, a school dean’s office or the students’ affairs office provides written notification to the successful applicant. This serves as the official statement of registration to medical school. There are some exceptions regarding the process of student admissions described above. Each year, a university may receive from the Provincial Committee of Education as many as 20 ‘recommended candidates’ who come from designated high schools. These individuals do not take the national admission test because their performance in high school has been so outstanding that they have emerged as the top students in both academic and behavioral performance. As such, these students bypass the usual admissions process and are admitted without further evaluation. Second, in an unusual instance, the educational institution may enter into a contract with large enterprises (e.g. a petroleum company) that have difficulties in getting and retaining physicians to care for their employees. Candidates to fill these positions can be accepted with lower NCEE scores than the rest of the class, provided they agree to work with the company after graduation.